Normally about this time, I do a "3-for-Thursday" kind of thing. Tonight, though, I am going to do a single pack of cards to help stretch out the inventory a bit. Haha! 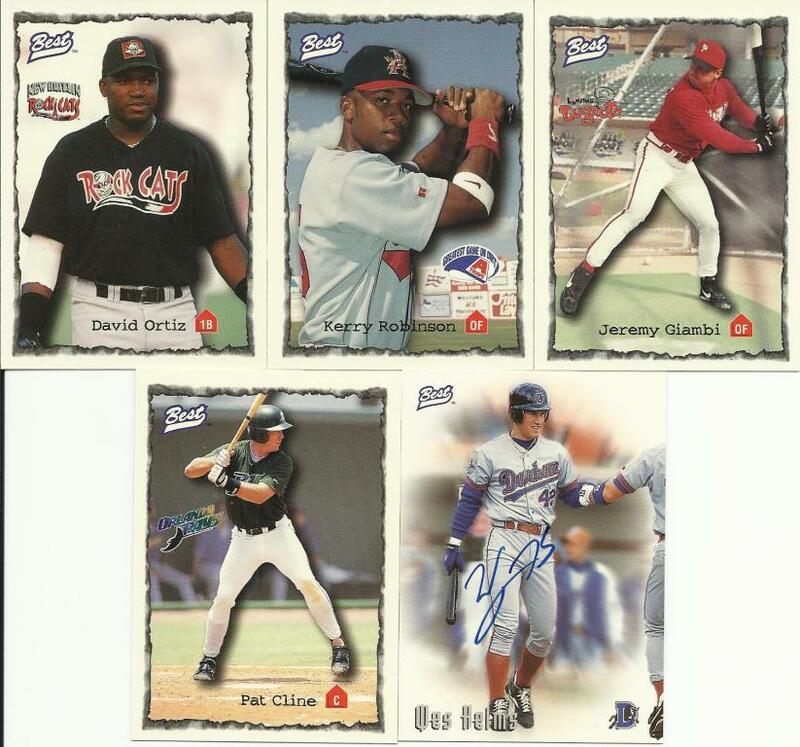 Here's a pack I didn't even know I had... 1997 Best Autograph Series Minor League Cards. 5 cards per pack. First, congrats to fdny! Next, how cool that we pulled an Arkie, and finally, how great is it that every pack of these features an on-card auto!? Not a bad way to spend the evening. Oh yeah, and I happen to be reading "Greatest Show on Dirt" a novel about the Bulls. Nice! Okay, for the Wes Helms, I might enter the free agent draft-o-rama. I have a feeling there will be a lot of folks getting in for that one. Nice! I could go for minor league stuff all day.